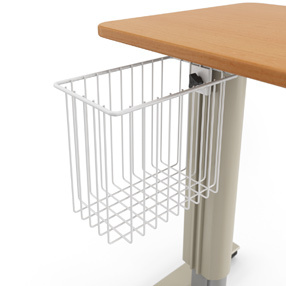 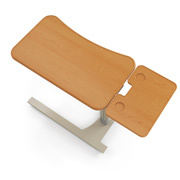 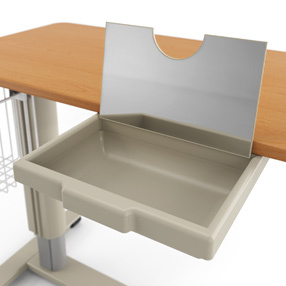 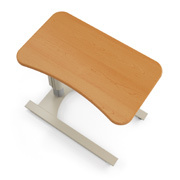 Overbed tables combine attractive, ergonomic design with infection-resistant features uniquely suited to the healthcare environment. 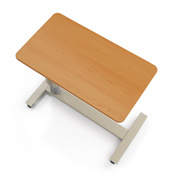 Choose from rectangle or kidney shaped tops with or without side table and two base designs that offer complete mobility and height adjustment. 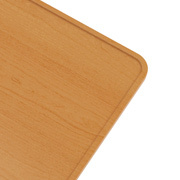 Available with 2MM edge only. 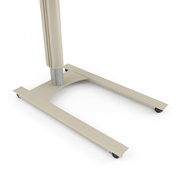 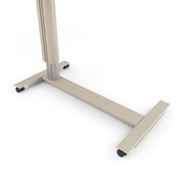 H Frame has a foot height of 1.75"
Tables have a height adjustment range of 14" - 29" to 43"